The name of the game tells the story in itself. Kaiju is a Japanese word which depicts the monstrous invasion in the cities of Japan. It is a commonly loved film genre in the country. 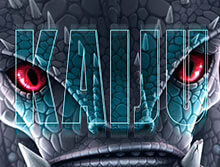 Elk studios came up with an innovative and interesting idea of bringing down this concept in a slot game named Kaiju. In this version provided by Elk studios, the players get to fight those exciting yet scary monsters to win exciting bonuses. The game has a total of 5 reels along with 3 rows and no less than 7776 different winning combinations. The entire sci-fi theme drags in the players to be a part of the game and play it again and again. With the creativity it has to offer, the game has an RTP of 96.30% which is pretty high and is a result of its popularity amongst the players. The reason for an RTP this high is undoubtedly its 7776 different ways to win a bet which makes it easier for a player to earn an amount never earned before. Talking about the maximum amount that can be won from the game, the number will definitely make your jaw drop as it is 130,440. The minimum bet of the game 0.20 and the maximum bet is 100. There are basically 6 different symbols which you’ll encounter in the game. These include crystals of three different colors which are Red, Blue, and Green. Similarly, the remaining three symbols are represented by security cards of Green, Red, and Blue color. The game is visually pleasing and exciting both. It displays features are constructed in a way that it can be compatible with smartphones, tablets, and PCs. Adhering to the concept of the game, it is based right in the heart of the Pacific Ocean. Its futuristic vision of the consequences of humans and earth being completely reliant on the technology depicts the destruction that can be caused. HA-42 is the main character of the game which is going to save the earth by hunting down the monsters and extracting back the precious symbols to hibernation. The scatter card, on the other hand, is represented by HA-42 herself and will help in triggering and activating the bonuses which will be further mentioned in the review. The wild, on the other hand, is a bit different here. The backdrop is of the tall shining neon colored skyscrapers which are easily recognizable behind the transparent reels. The graphics are really attractive and user understandable. Vertical Laser Feature: While playing the game, what is to be kept in mind is that the wild symbols can be formed only when identical symbols are spotted starting from the row at the bottom to the top one in the vertical lines of the slot game. Once such circumstances form, the wild symbol lands upon the topmost symbol which was identical. The reels will then get scanned for any more winnings with the wild in place and only when the winnings are collected, the symbol will disappear. Kaiju Battle Bonus Feature: This particular bonus feature gets triggered after three of the scatter symbols which are represented by the android HA-42 are spotted on the reels of the game. Once this happens, you’ll be taken to the battle bonus round where at first you get 7 free spins to play with. This round is played on a different reel set. Here, in the backdrop, you can see a scary monster with Kaiju written across the center of his face. If the first bonus feature i.e., the vertical laser gets triggered during these spins, a wild stays where gets fixed and an extra spin is given to you to use. You’ll get more pay lines after this feature triggers. There are a total of three different opponents with distinct hotspot areas which are given randomly to the player. Once you defeat the monster, the Alphabets of KAIJU will all convert into wilds or connecting symbols. As these symbols spread out to the last alphabet, the wilds stay frozen until the round finishes up. This different yet attractive version of the KAIJU theme provided by the Elk studios is exceptionally good in terms of the gameplay and conduct. It has an attractive outlook and easily understandable gaming features and symbols. The game can be played on the commonly used devices and hence eliminates the constraints of the location specification. It is a worthwhile experience and hence holds a good RTP. Players come back to play this game frequently. The amazing and different bonuses provided by the slot also play a major role in maintaining its favoritism.